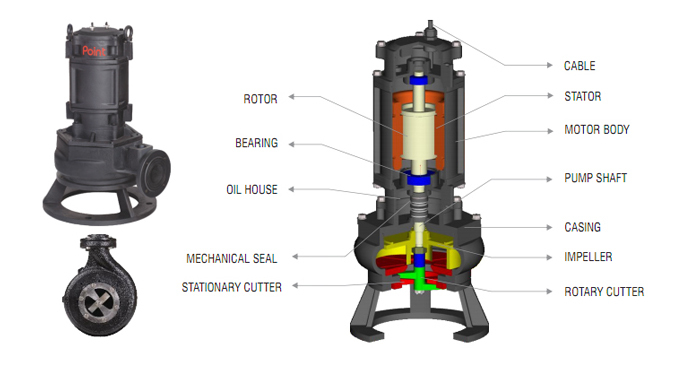 A chopper pump is a centrifugal pump which is equipped with a cutting system to facilitate chopping/maceration of solids that are present in the pumped liquid. 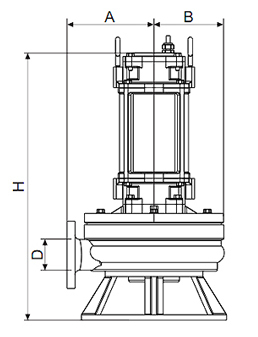 The main advantage of this type of pump is that it prevents clogging of the pump itself and of the adjacent piping, as all the solids and stringy materials are macerated by the chopping system. Chopper pumps exist in various configurations, including submersible and dry-installed design and they are typically equipped with an electric motor to run the impeller and to provide torque for the chopping system. 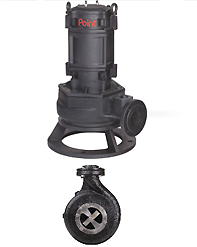 Due to its high solids handling capabilities, the chopper pump is often used for pumping sewage, sludge, manure slurries, and other liquids that contain large or tough solids.